Across the country, experts and interest groups opposed to a border shutdown are weighing in about how a closure could affect people on both sides of the border. In response to a surge of Central American migrants at the U.S.-Mexico border, President Donald Trump is threatening to close the Southern border unless Mexico stops the record number of asylum-seekers. Across the country, experts and interest groups opposed to a border shutdown have been weighing in about how that could affect people on both sides of the border. Shutting down the border could actually increase illegal border crossings. Nearly half a million immigrants cross the border legally every day, according to U.S. Customs and Border Protection. Many of them commute from northern Mexican cities to work in the U.S. and could find themselves unemployed if they couldn’t cross the border. “If anything, it would promote more poverty in Mexico, which would then turn into more pressure on immigration in the U.S.,” Gary Hufbauer, a nonresident senior fellow at the Peterson Institute for International Economics, told The New York Times. Hundreds of students in border schools and universities wouldn’t be able to get to class — or home. Administrators of El Paso’s Father Yermo Catholic School, which serves 190 students, say nearly 40% of their students cross the border every day and could fall behind if the border closed, according to El Paso TV station ABC 7. ABC 7 also reports the El Paso school district has begun preparing to care for students if their parents are unable to pick them up because of a border shutdown. Officials at the University of Texas at El Paso told ABC 7 they have launched a website and plan to help the 900 students who cross the border to attend classes. Border communities and Texans would take an economic hit. Brownsville, McAllen, Laredo, El Paso and San Diego would feel the biggest impact from halted trade if goods can’t cross the border, the U.S. Chamber of Commerce said Monday. 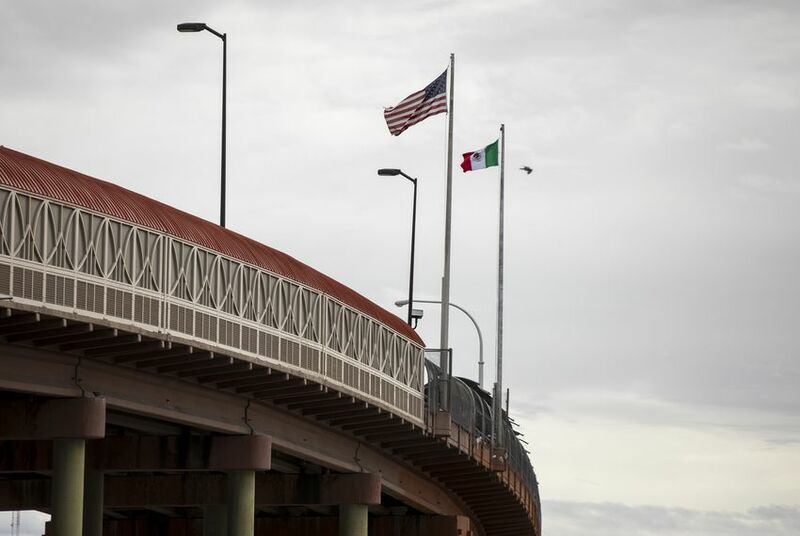 Laredo handled more than 50% of U.S.-Mexico trade in 2017, and roughly 16,000 trucks and 1,400 rail cars pass through the city each day, according to the Laredo Chamber of Commerce. Border businesses would lose customers in cities like McAllen, where Mexican shoppers account for nearly one-third of the city’s $3.2 billion retail sales. When the San Ysidro port of entry was shut down for five hours last November as a migrant caravan approached the border, San Diego retailers lost $5.3 million in sales, NPR reported. The Texas Association of Business says 1 in 5 jobs in the state is dependent on trade. “If you want to create an economic crisis, then shutting down the border will create a financial crisis,” the association’s president, Jeff Moseley, said in a Monday statement. The economic impacts would reach around the world. Vehicle production lines across the U.S. would be affected by a shutdown in less than a week, according to Ann Wilson, the senior vice president for government affairs at the Motor & Equipment Manufacturers Association. That’s because the U.S. auto industry sources 37% of its vehicle parts from Mexico, Kristin Dziczek, vice president of the Center for Automotive Research in Michigan, told NPR. The production of apparel, TVs, computers and medical hardware would also be impacted since these industries manufacture their products just south of the border or source materials from Mexico, according to The New York Times. If rail terminals and pipelines are included in the shutdown, the closure would prove costly to the energy sector since Mexico is the largest importer of U.S. diesel and gasoline. American farmers would lose one of their biggest markets. If Mexico can’t import American soybeans, corn, dairy products, chickens, beef and other agricultural goods, American farmers would likely suffer. Meanwhile, the U.S. relies on Mexico for 60% of its produce, according to the Fresh Produce Association of the Americas. So yes, Americans could run out of avocados, and they could also see big price increases for produce like bell peppers, squash, tomatoes, cucumbers, melons and eggplant. Disclosure: The Texas Association of Business and the U.S. Chamber of Commerce have been financial supporters of The Texas Tribune, a nonprofit, nonpartisan news organization that is funded in part by donations from members, foundations and corporate sponsors. Financial supporters play no role in the Tribune's journalism. Find a complete list of them here.